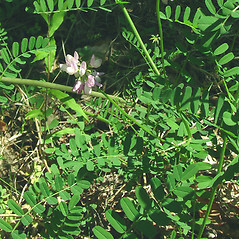 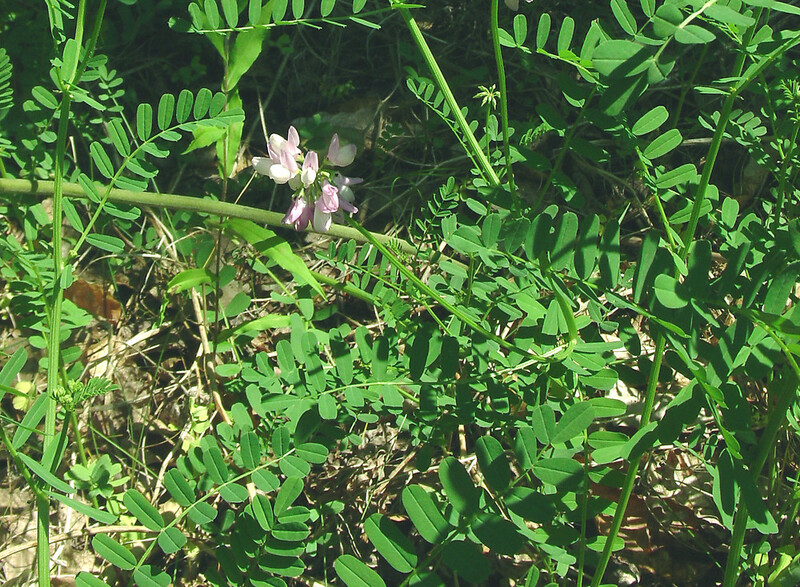 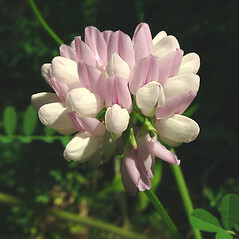 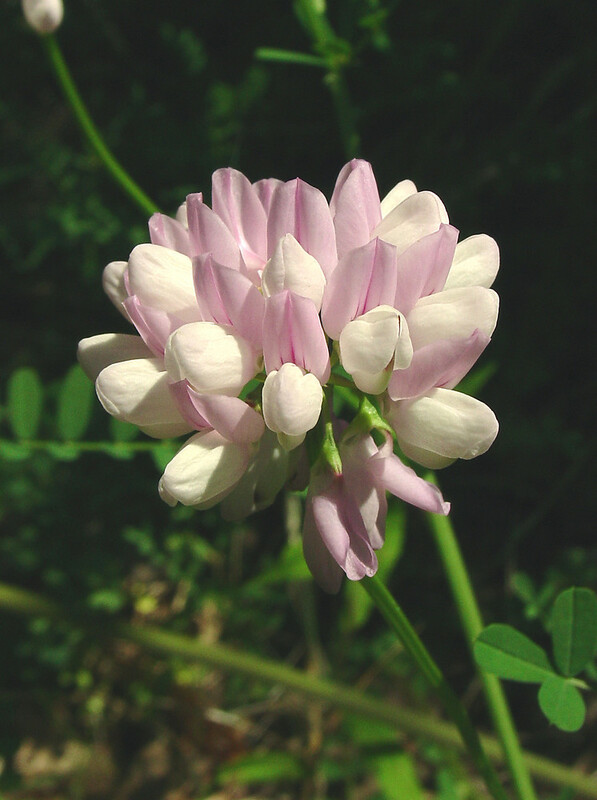 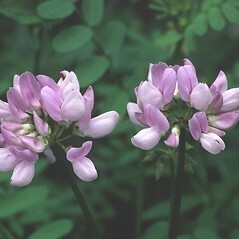 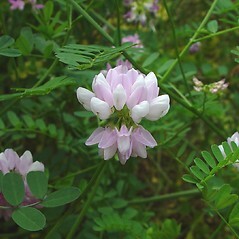 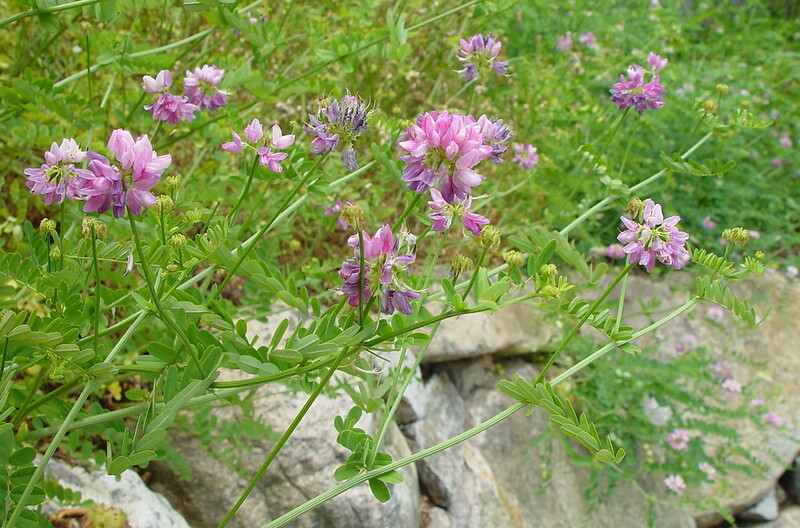 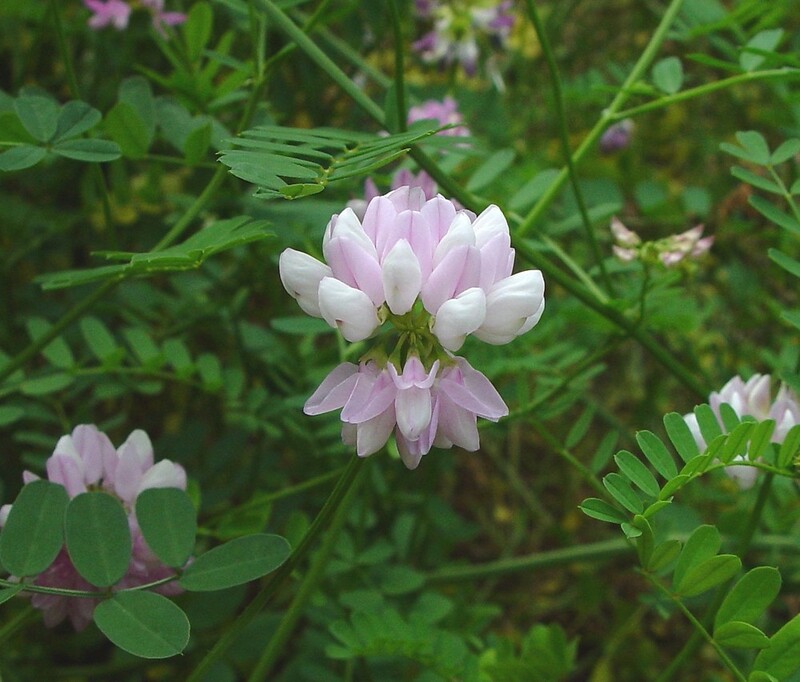 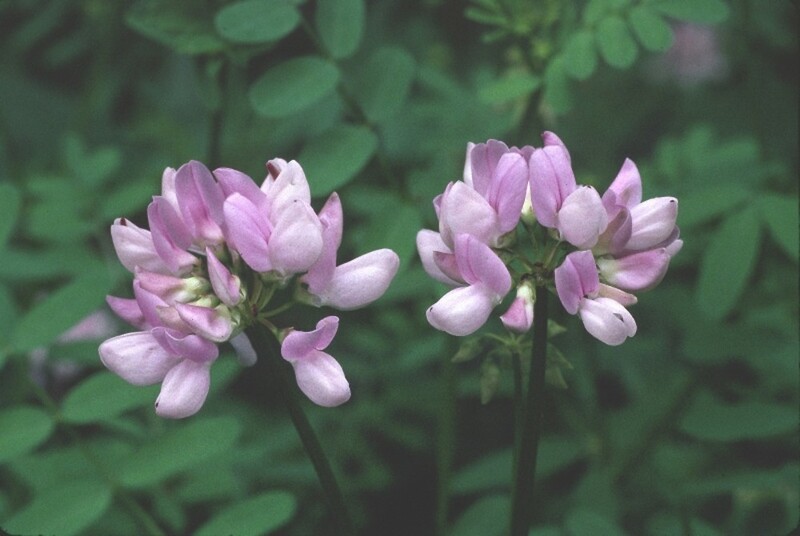 Crown-vetch is native to Europe, Asia and Africa, and was first introduced to North America in the latter half of the 1800s. 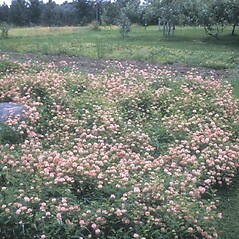 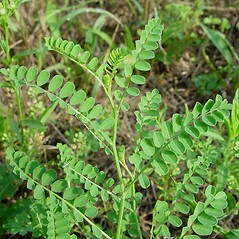 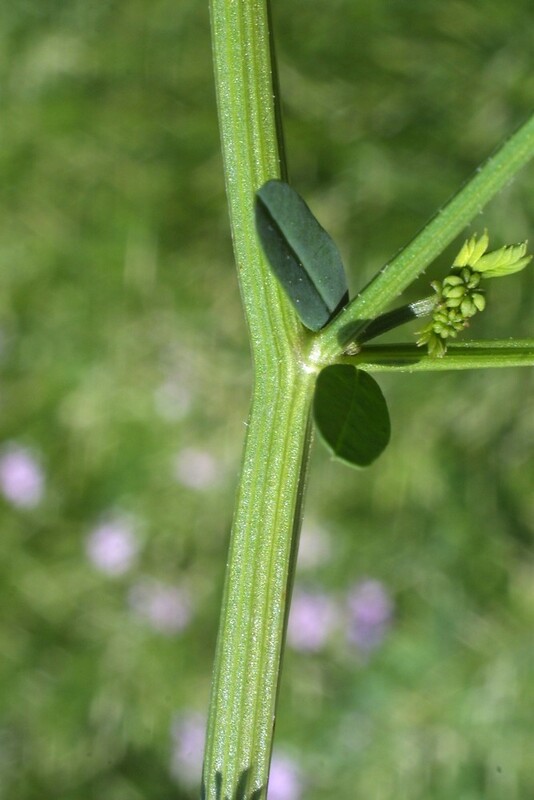 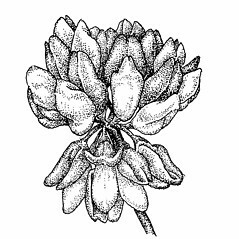 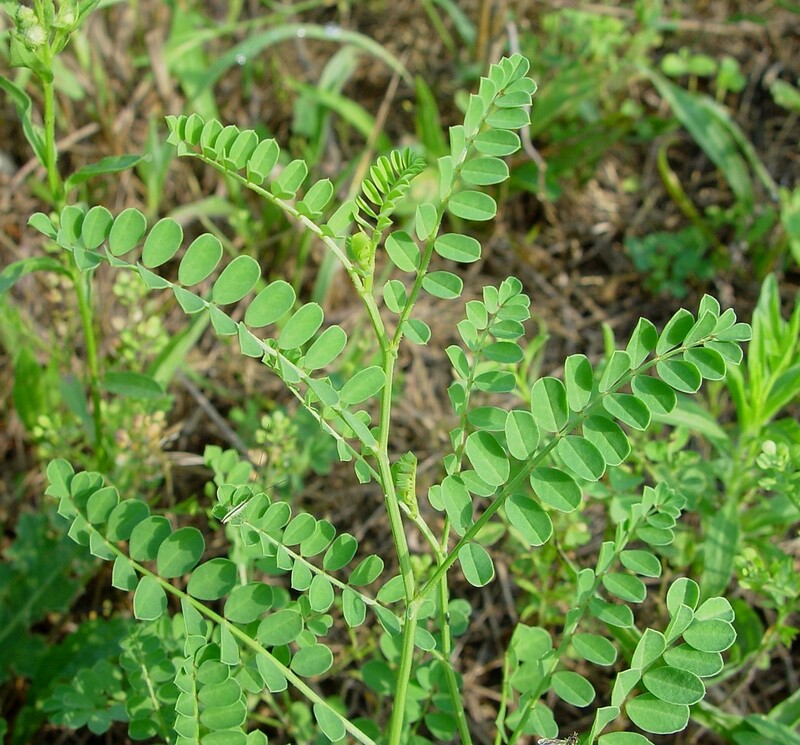 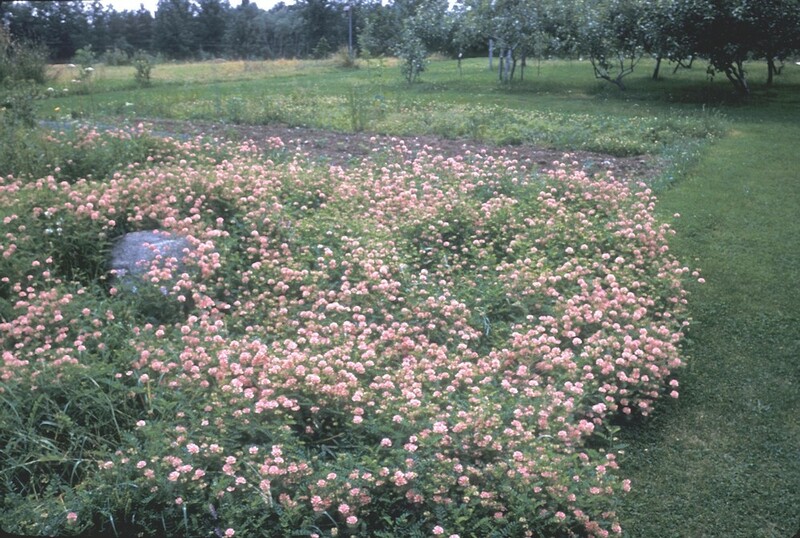 It has been widely used in erosion control, but is very invasive in open settings. 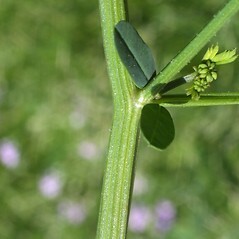 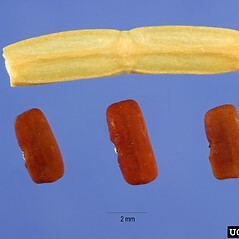 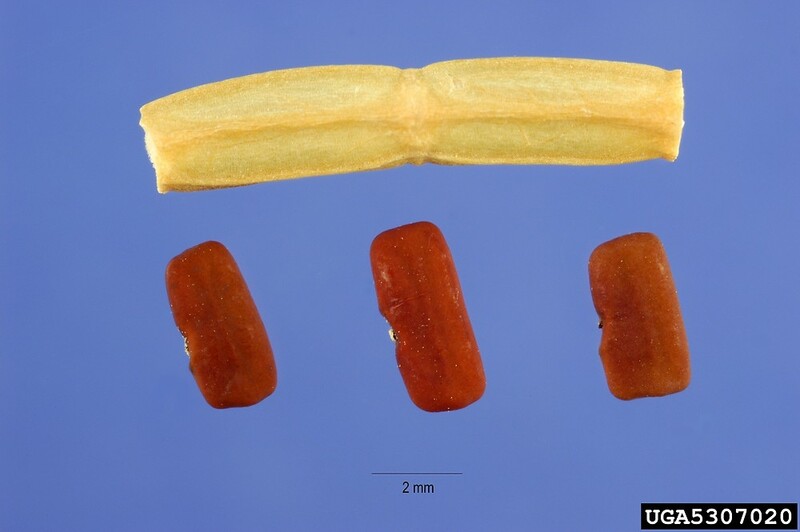 schizocarp +/- flat, 10–25 mm long, strongly constricted between the seeds, and corolla 6–8 mm long, usually pink with purple lines (vs. S. varia, with the schizocarp terete or angled, not flat, 20–50 mm long, weakly constricted between the seeds, and corolla 10–15 mm long, usually pink and white). 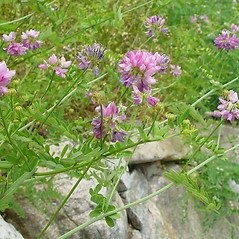 purple crown-vetch. 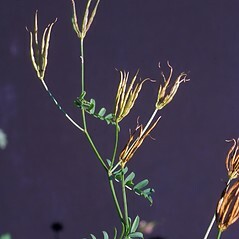 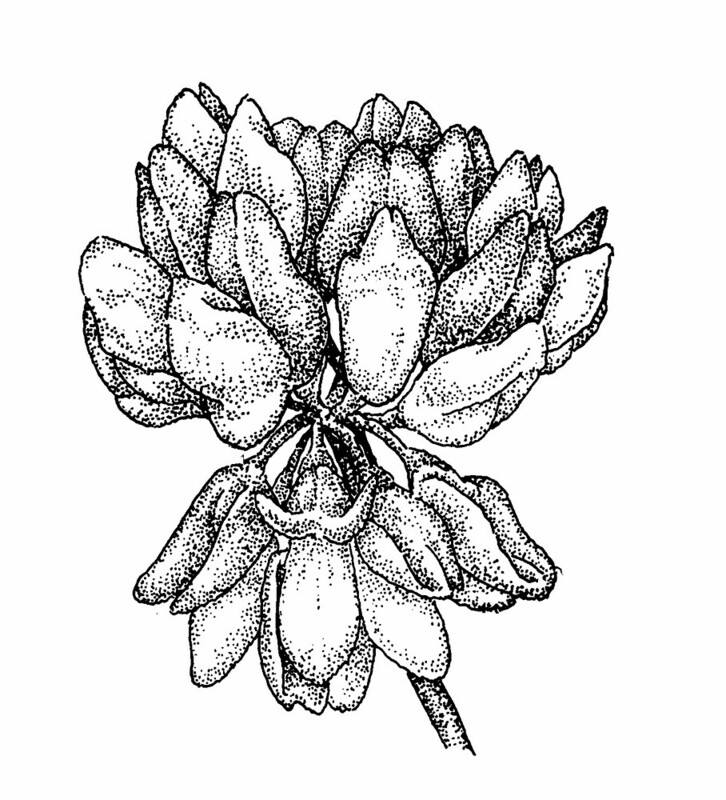 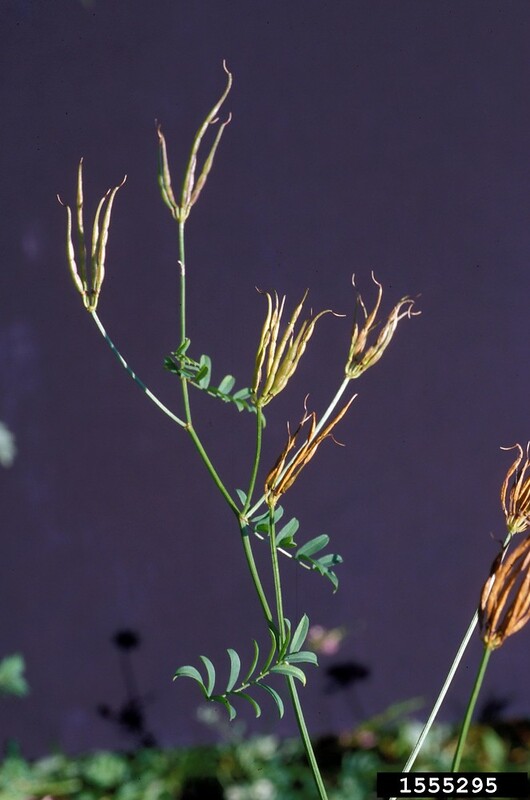 Coronilla varia L. • CT, MA, ME, NH, RI, VT. Roadsides, fields, banks.